Divisions within the ANC are deepening and a potential downgrade of South Africa’s debt rating to junk isn’t fully priced in by markets, according to Goldman Sachs Group. The rand slumped as much as 4,3% against the dollar on Tuesday, the most since June, and bond yields rose to the highest in more than a month after prosecutors said finance minister Pravin Gordhan must appear in court on 2 November on fraud charges. Five-year South African credit-default swaps, an indication of risk, climbed 15 basis points on Tuesday to 265, the highest level since 8 July and above those of Russia, Brazil and Turkey, which all have junk credit ratings. “There is clearly a sharpening of the knives between the various factions within the ANC,” Colin Coleman, a partner and head of Goldman Sachs Group in South Africa, said in an interview on Bloomberg TV. 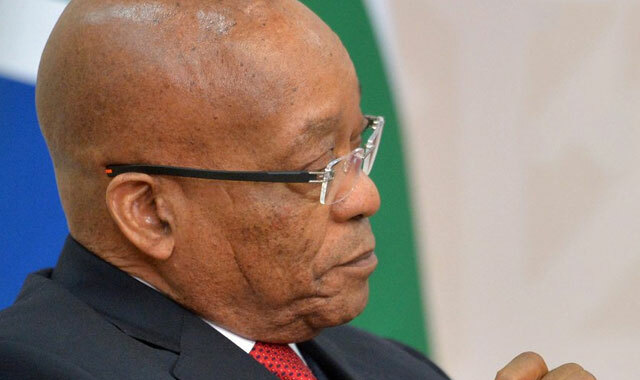 The reaction to the news on Tuesday in the country’s financial markets was “less than expected”, meaning that the risk of South Africa losing its investment-grade status hasn’t been fully factored in, he said. S&P Global Ratings and Fitch Ratings, which will both review their credit assessments in December, kept their assessments at one level above junk in June, and S&P kept its outlook at negative. The companies said the government must take decisive steps to bolster growth and end political turmoil. Gordhan is leading joint efforts by the government, business and labour unions to reignite economic growth headed for its slowest expansion since the 2009 recession. The ANC, which has led South Africa since Nelson Mandela swept the party to power after the end of apartheid in 1994, will hold a conference in December 2017, when President Jacob Zuma is scheduled to step down as head of the party. He is set to leave office in 2019 after two terms. The charges relate to Gordhan approving the early retirement of a former colleague at the revenue service and then allowing him to be rehired on a contract basis during Gordhan’s first stint as finance minister. 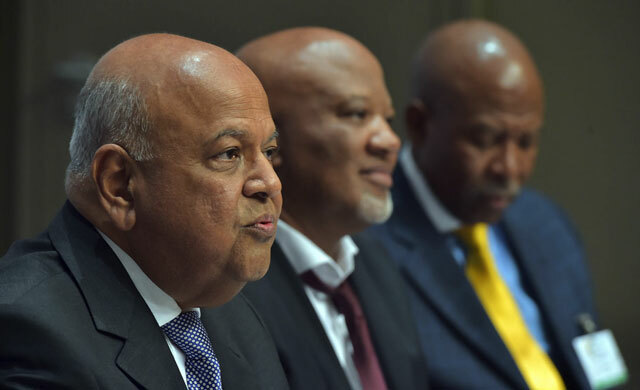 Gordhan was reappointed in December to the position he held from 2009 until 2014 after Zuma was forced to reconsider his decision to replace Nhlanhla Nene as finance minister with a little-known lawmaker. Gordhan, 67, on Tuesday called the summons politically motivated and said “there is no case”. The minister has repeatedly clashed with Zuma, who had dismissed his request to fire the nation’s current tax chief, Tom Moyane, for insubordination and delayed his attempts to install a new board at the loss-making state airline. The president reaffirmed his support for Gordhan and urged the prosecutor “and other institutions concerned to conduct the matter with the necessary dignity and respect”. The rand extended losses against the dollar on Wednesday, weakening 0,8% to R14,48 by 12.47pm in Johannesburg, the lowest level on a closing basis since 2 September and the worst performer among 31 emerging market and major currencies. Yields on South African local-currency bonds due in December 2026 rose by three basis points to 8,96%. Banking stocks fell the most in seven weeks on Tuesday. Why is this about Gordan? Where is the justice system in SA the main perpetrator Zumba is unchallenged why is this so? How can a leader continually have a controversy month after month with zero repercussions! So much for SA constitution its corrupt to the core! As you so, so shall you reap maybe not today but possible tomorrow or next year there is no escape Zumba you can write this down.